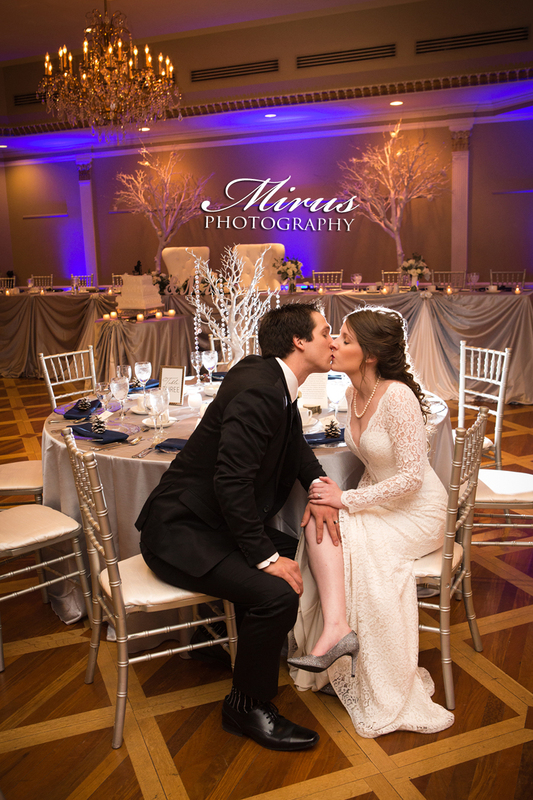 Winter weddings are not as common but they can be so beautiful and cozy and have such a warm feeling! 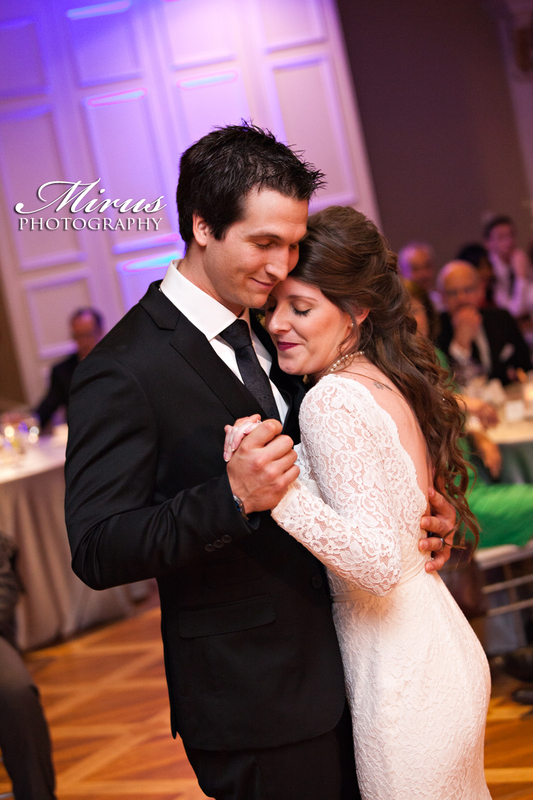 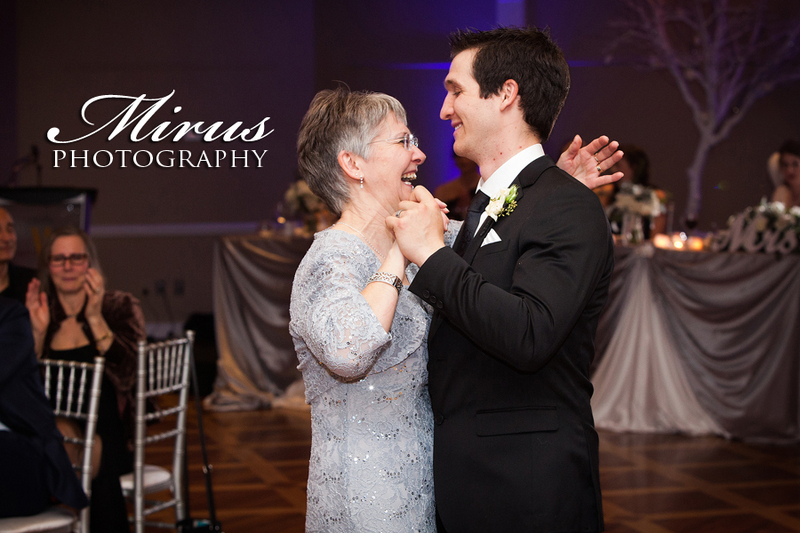 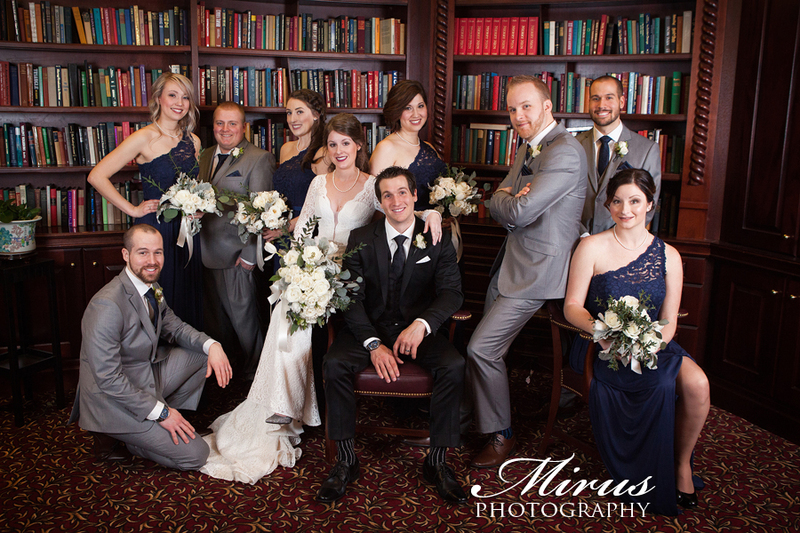 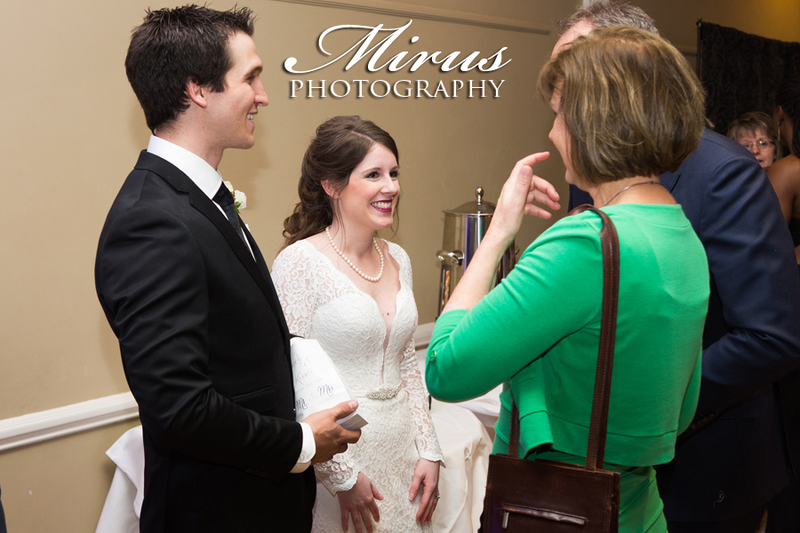 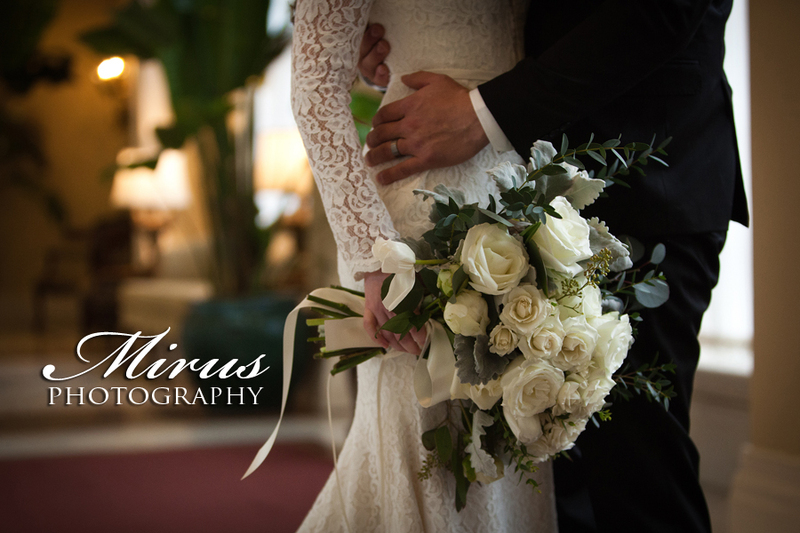 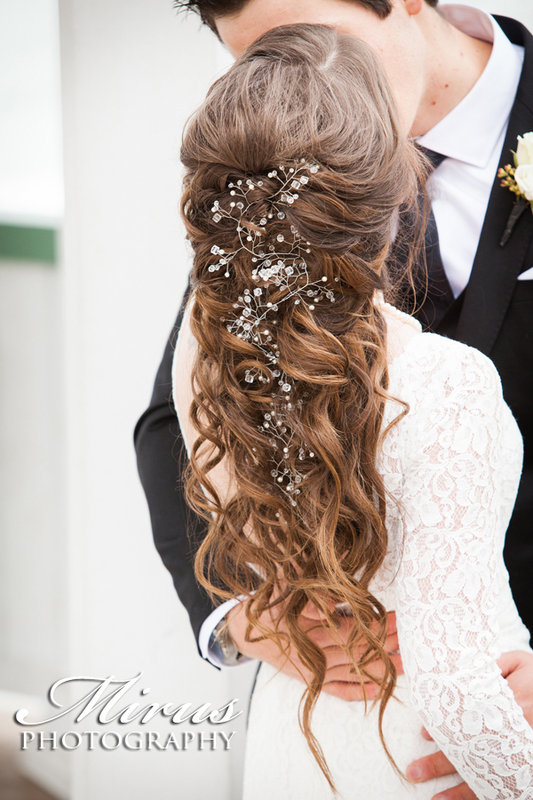 Katherine and Dylan's wedding was just that...so warm and inviting! 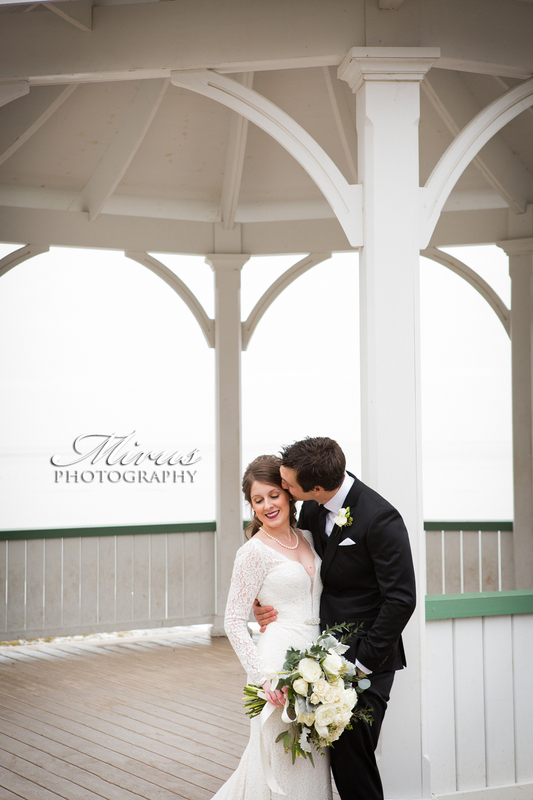 First of all we just love their wedding venue. 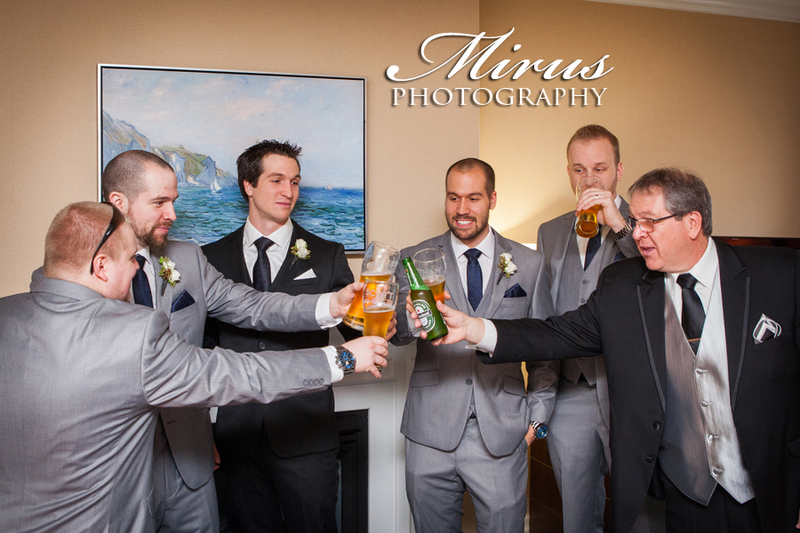 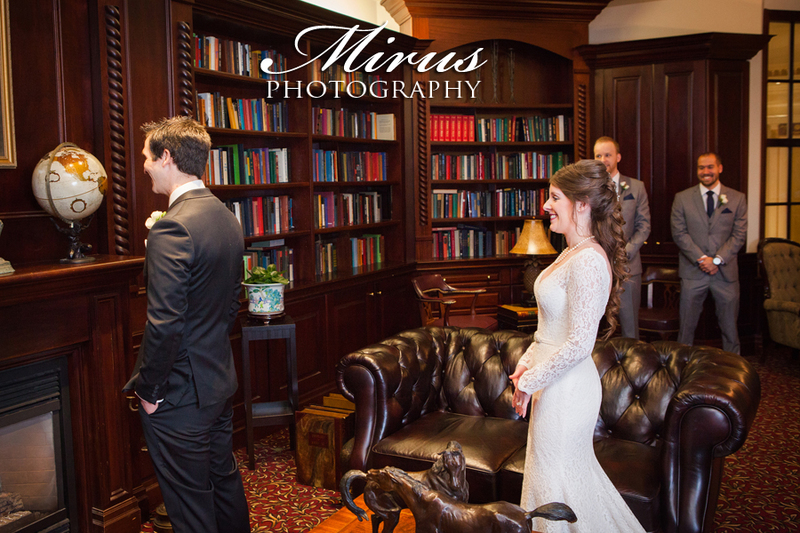 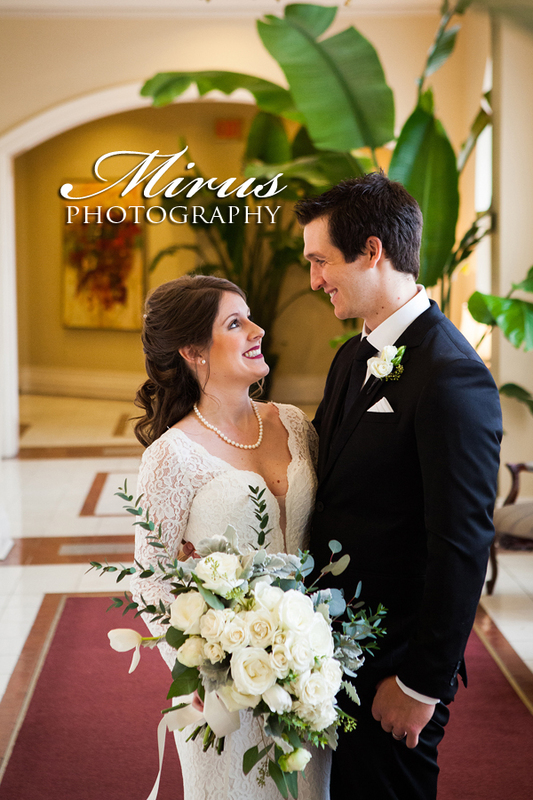 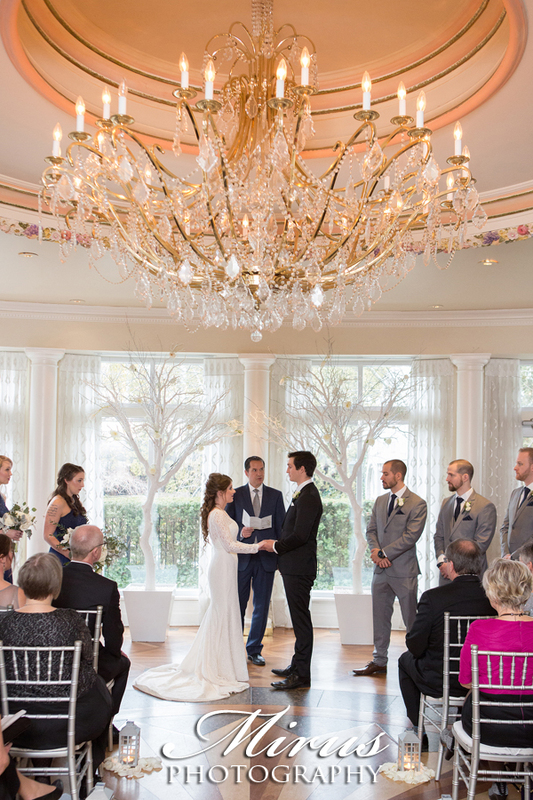 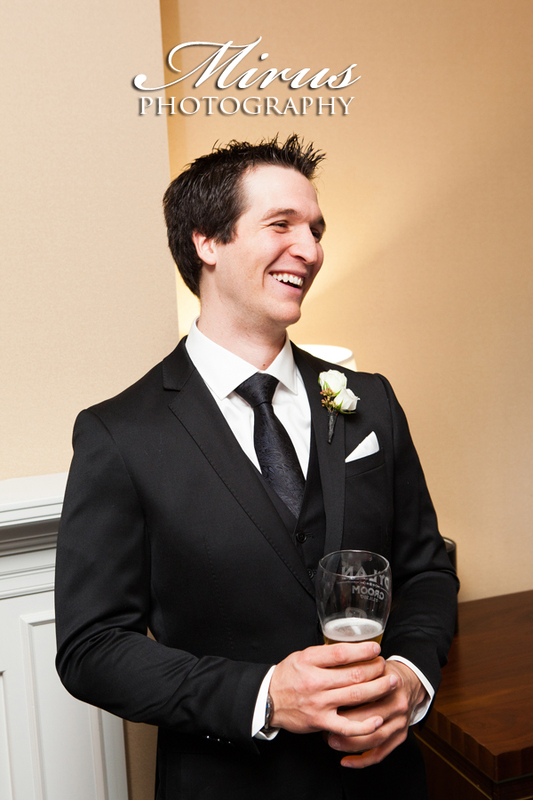 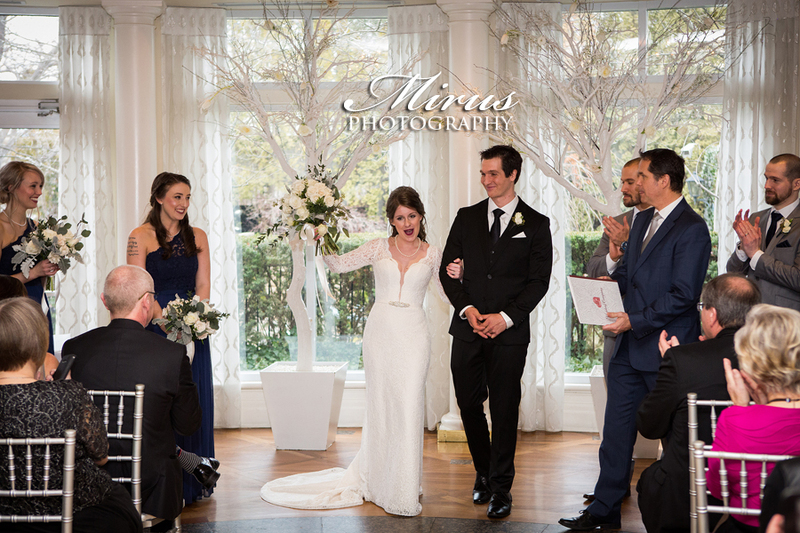 Their ceremony and reception took place at the Historic Queen's Landing Vintage Hotel right in the heart of Niagara on the Lake. 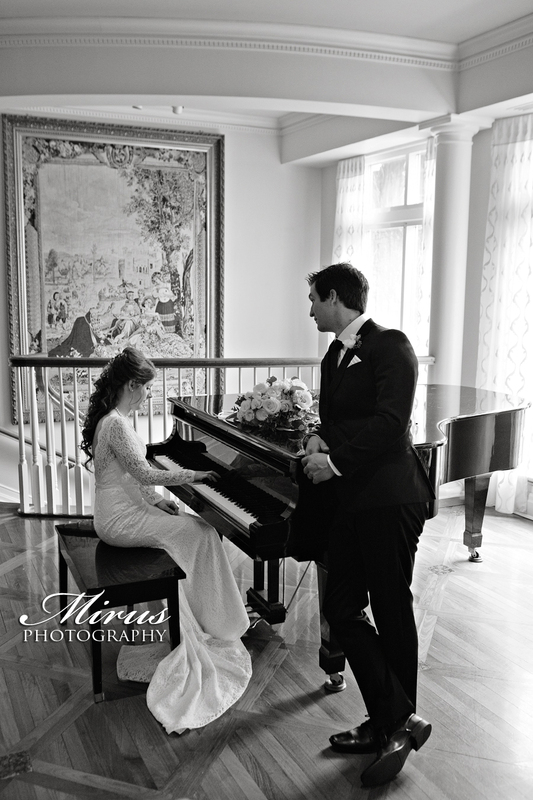 Niagara on the Lake itself is such a romantic location for anyone wanting a weekend away with their love. 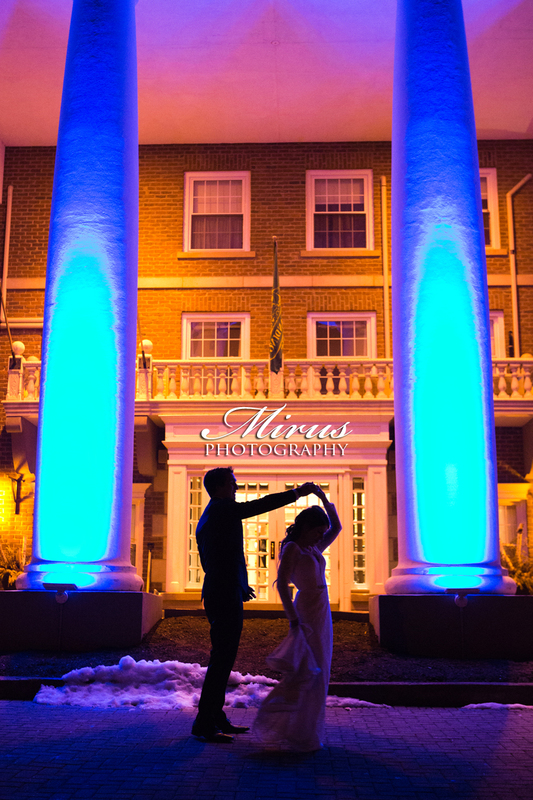 This hotel has just as romantic a feel. 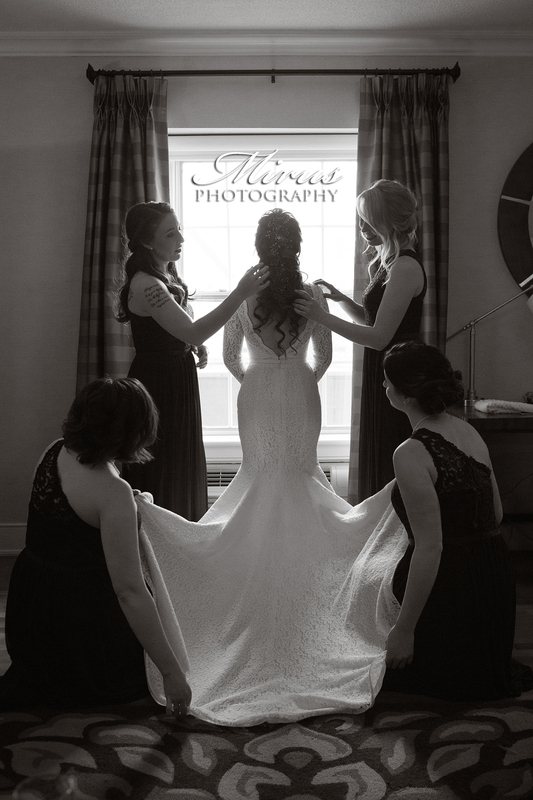 Consequently a Niagara on the Lake Wedding is one of our favourite to photograph!Katherine and Dylan's wedding had so many warm touches. 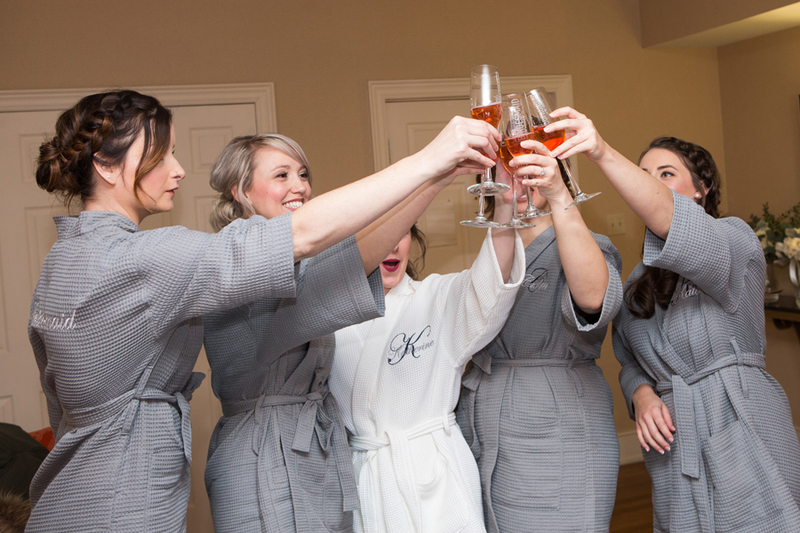 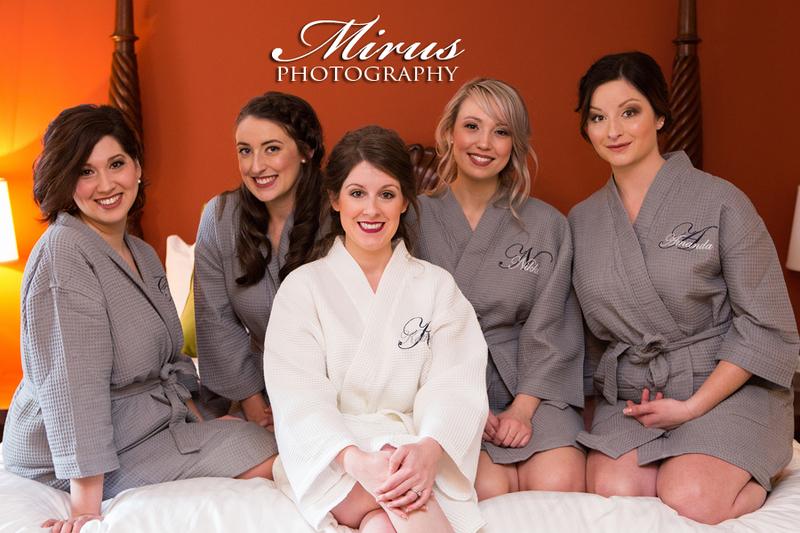 For instance the bride and her bridesmaids had matching robes with their names on them. 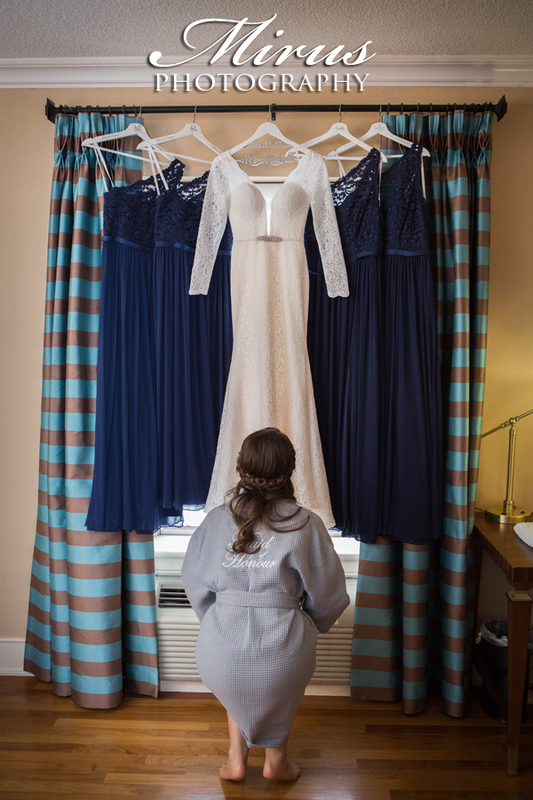 This is such a great, warm and comfortable gift for getting ready on the morning of a wedding. 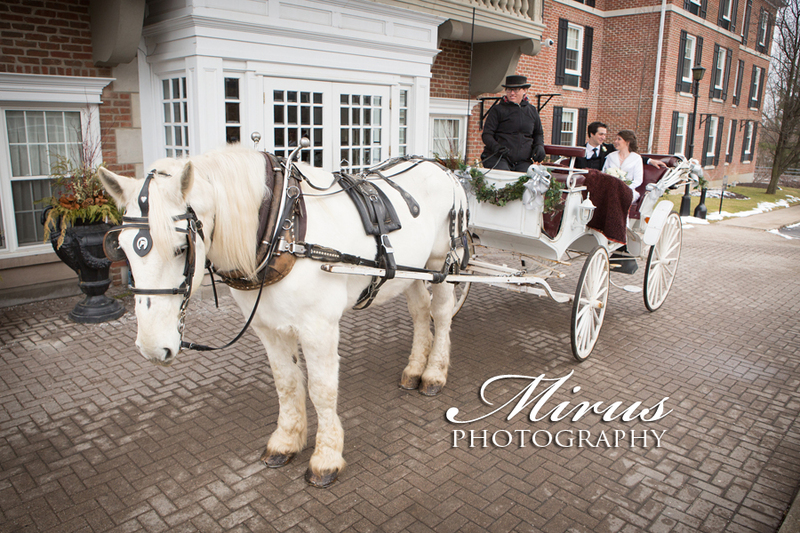 They had a cozy and romantic horse and carriage ride through Niagara on the Lake to their photo locations. 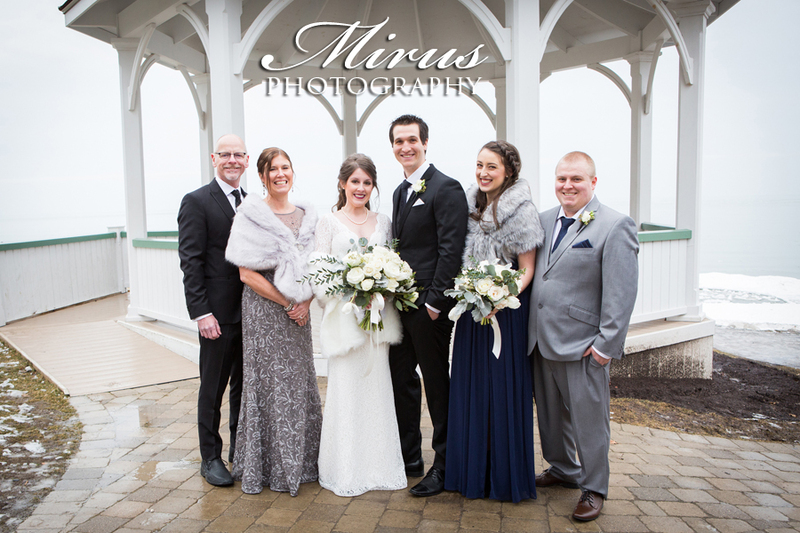 As wedding favours the couple gave warm blankets. 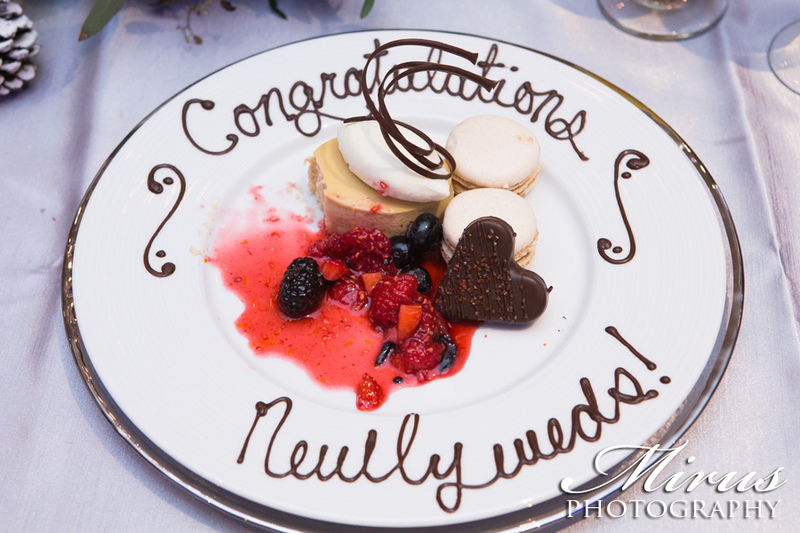 We thought that was a wonderful present for their guests to take home as a reminder of their day and the warm feel of it. 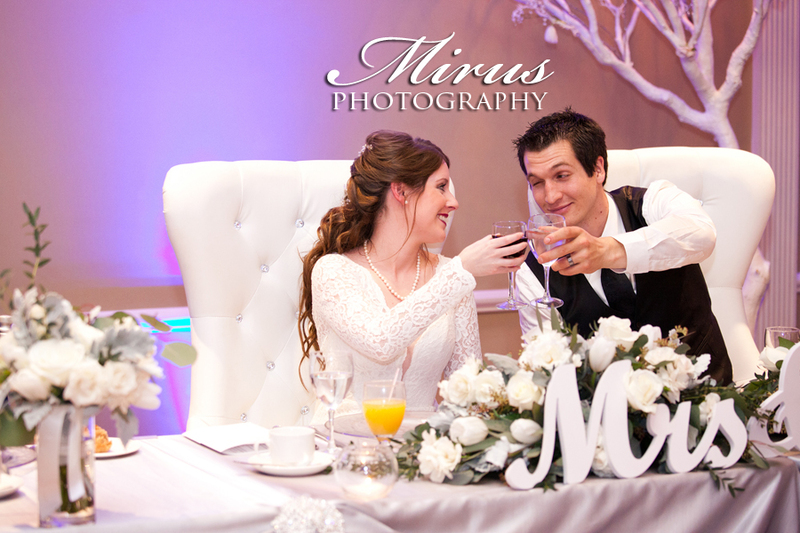 After their wedding ceremony they had a hot chocolate bar. 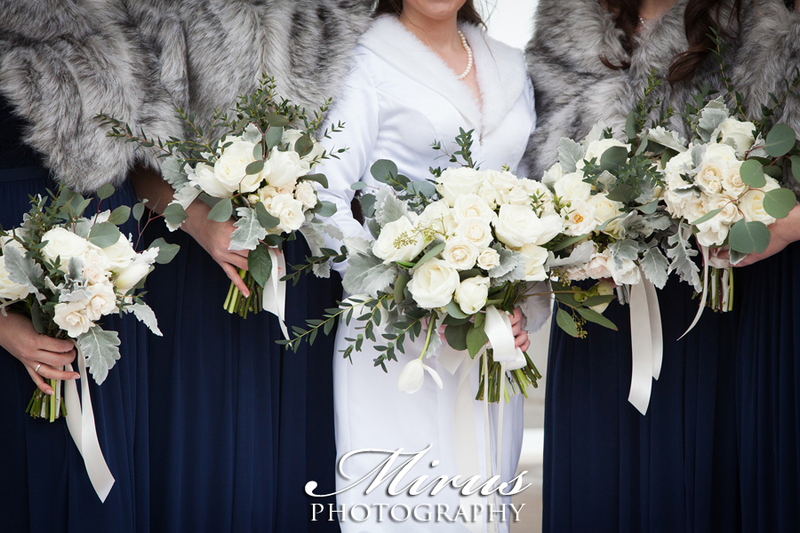 Particularly fitting for a winter wedding! 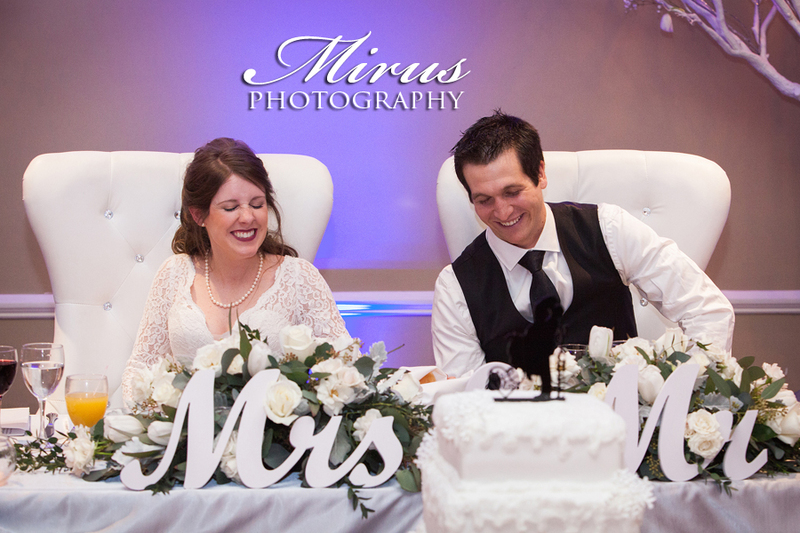 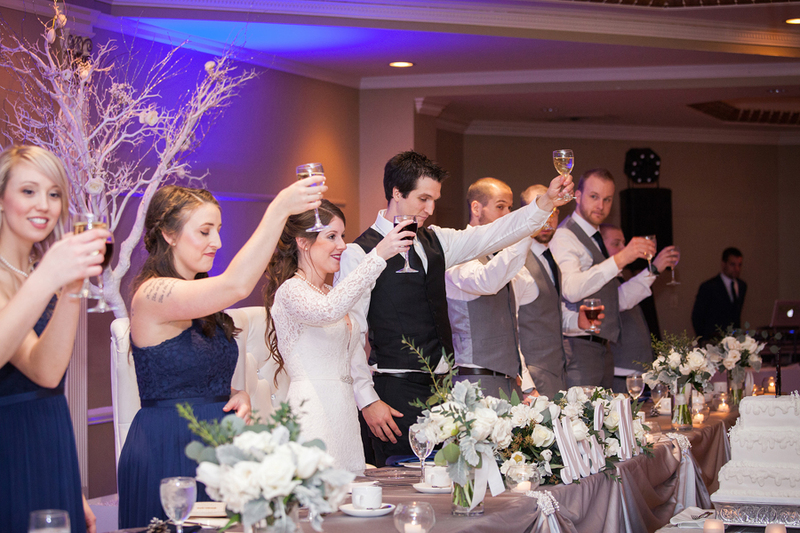 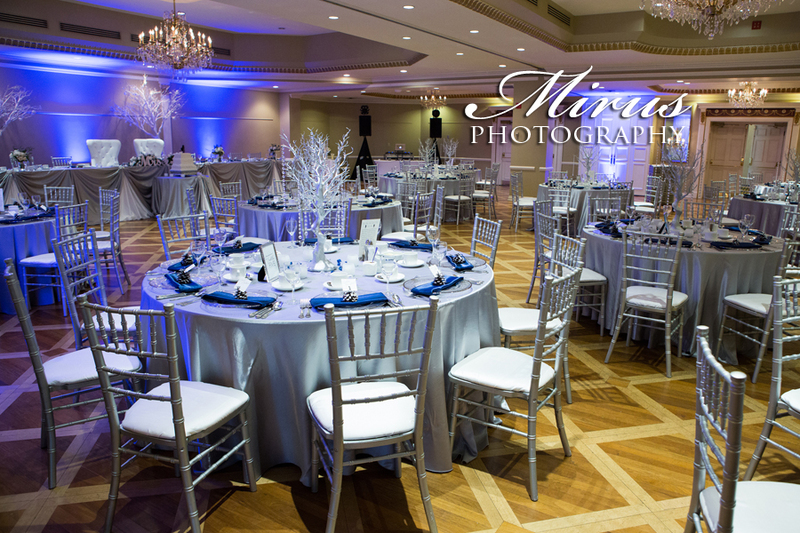 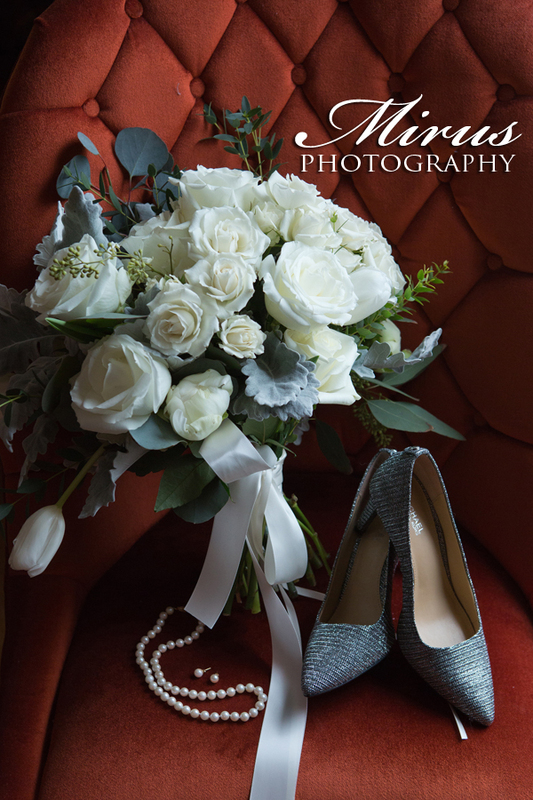 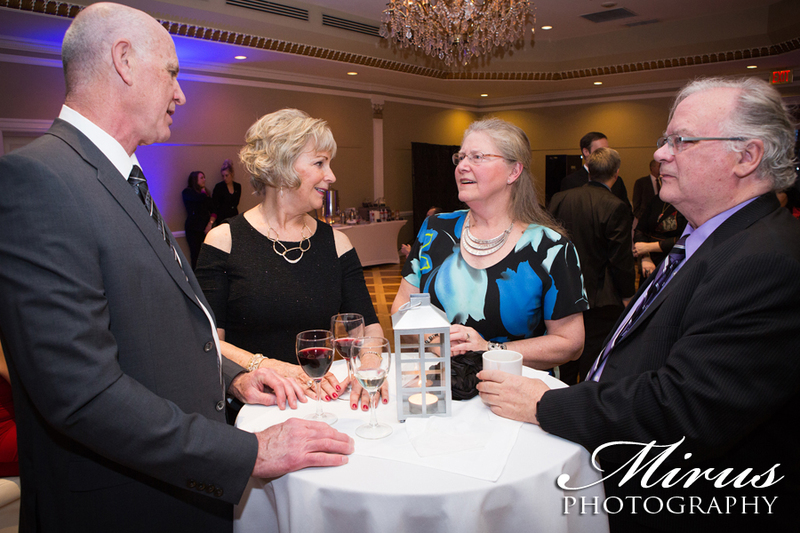 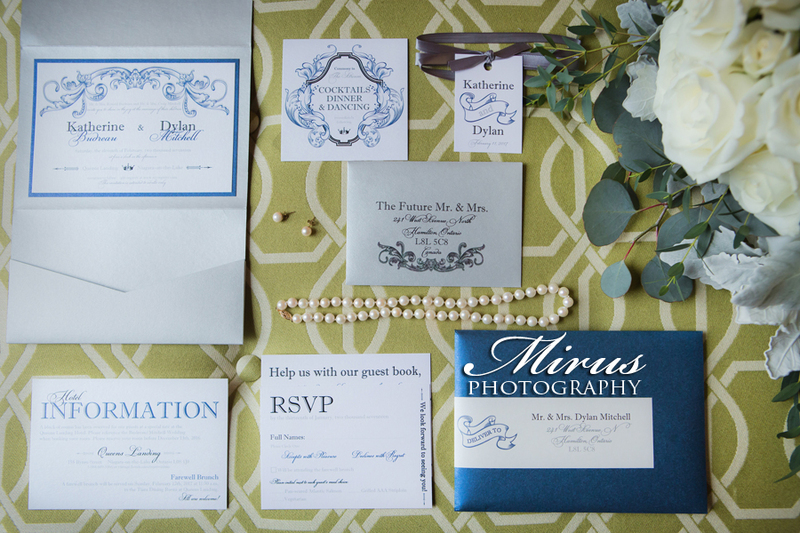 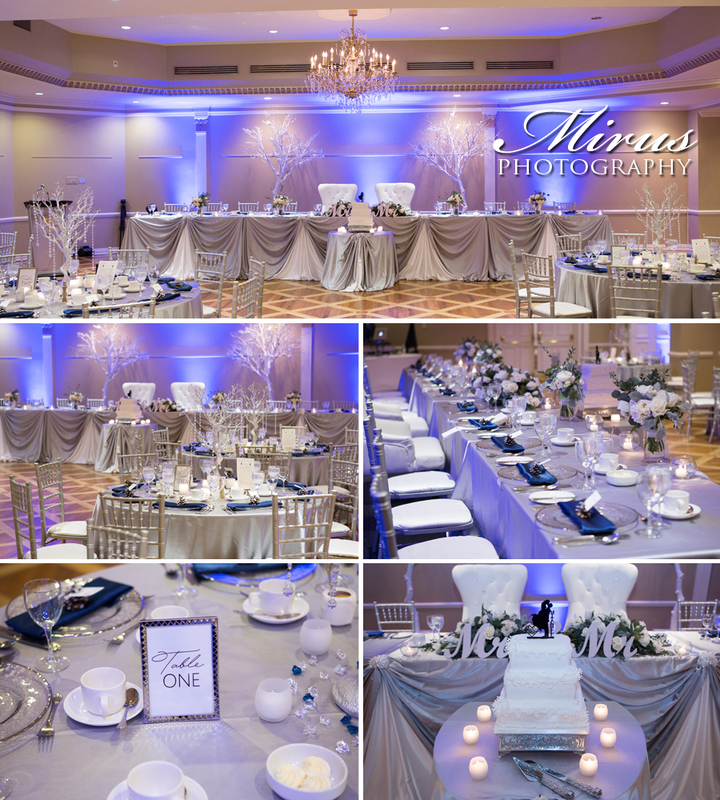 Their reception was filled with a gorgeous blue light and touches of silver and white. 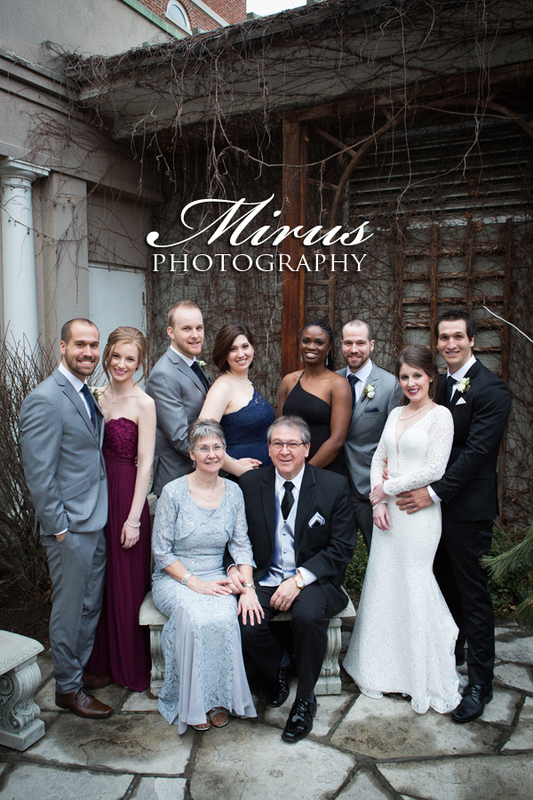 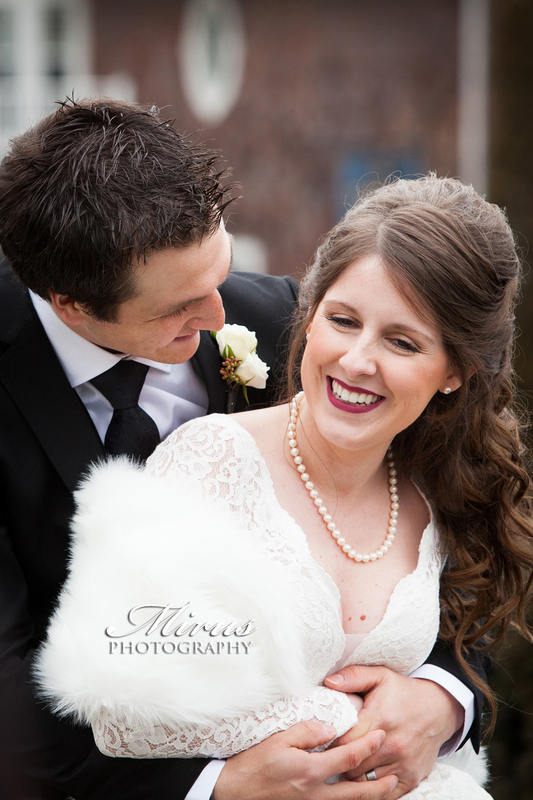 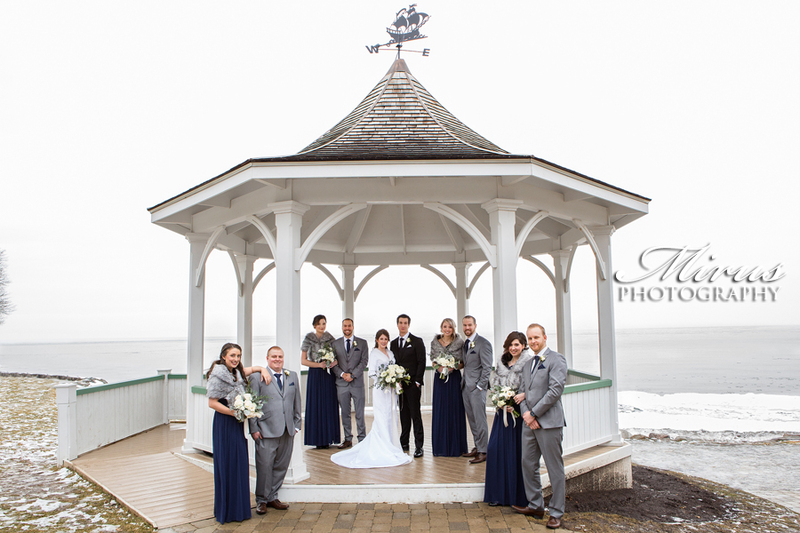 Just loved the colours for winter!This happy couple's wedding day at Queens Landing was also a lot of fun! 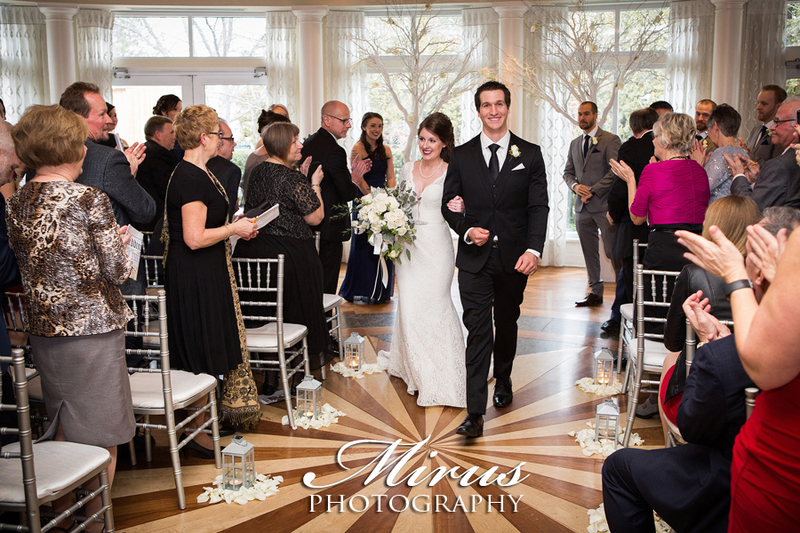 One of the highlights was when they entered their reception through different doors. 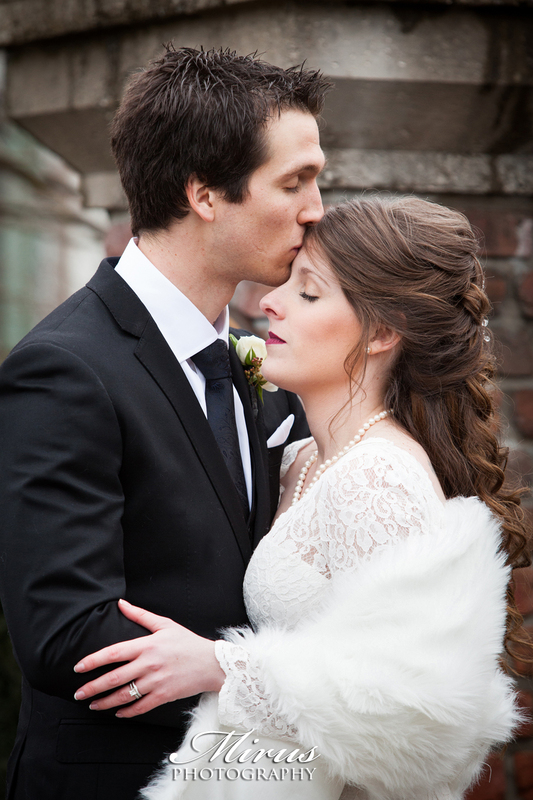 Katherine was wearing a black leather jacket and Dylan wearing a red letterman jacket imitating Sandy and Danny in the movie Grease. 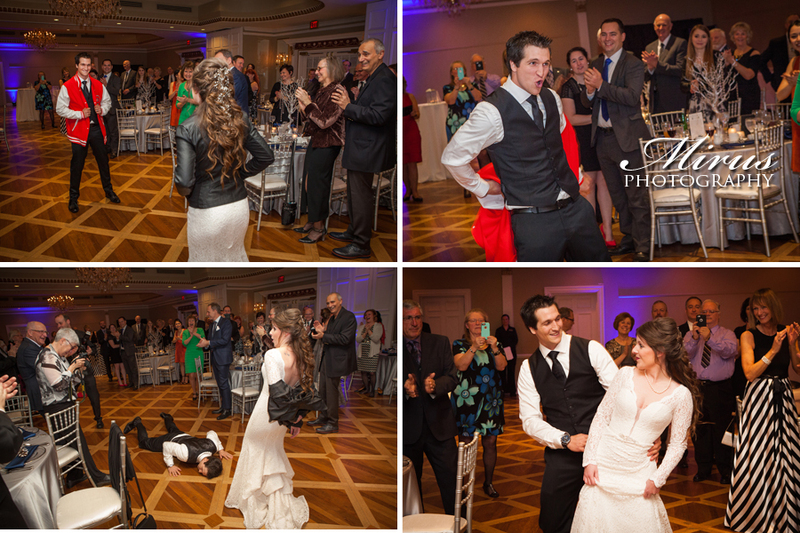 They then danced to 'You're The One That I Want' just like they did in Grease. 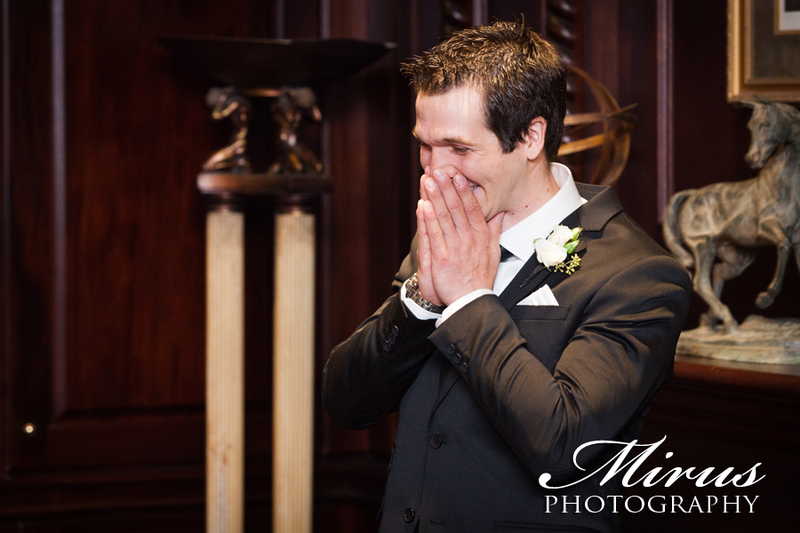 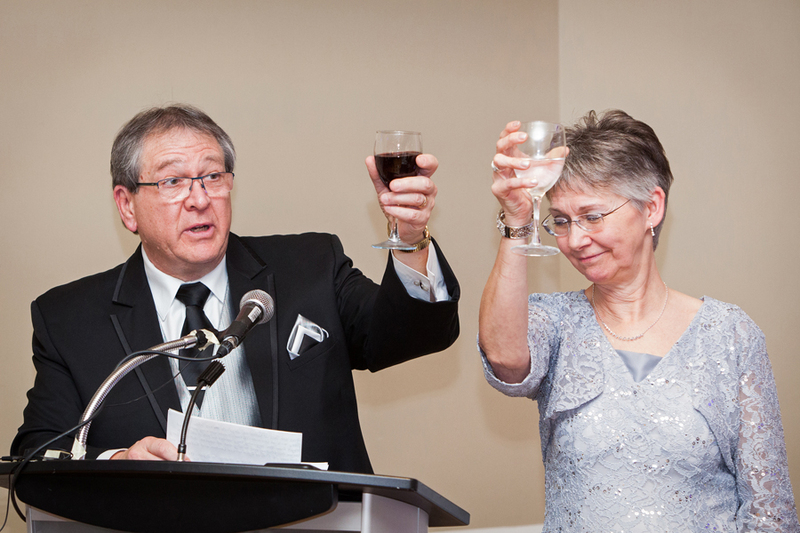 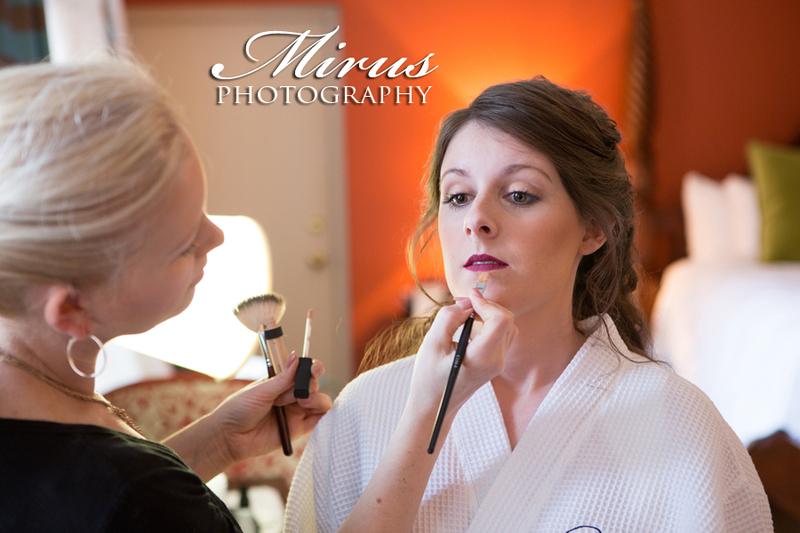 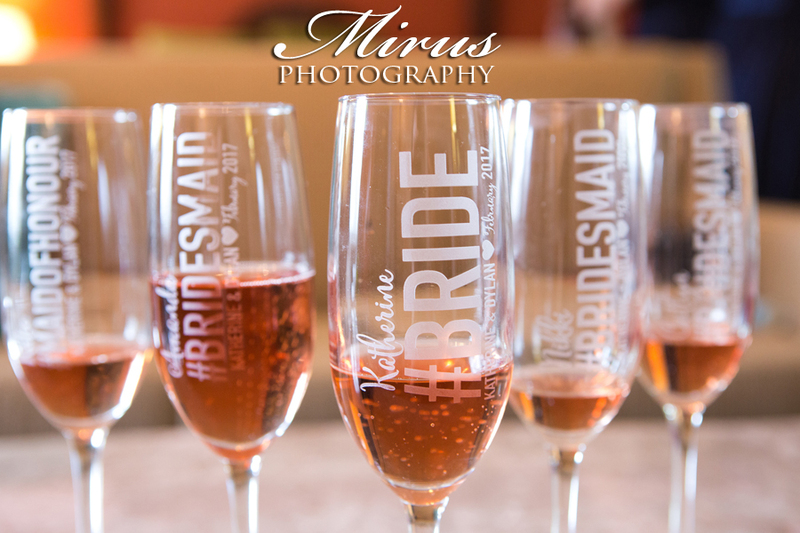 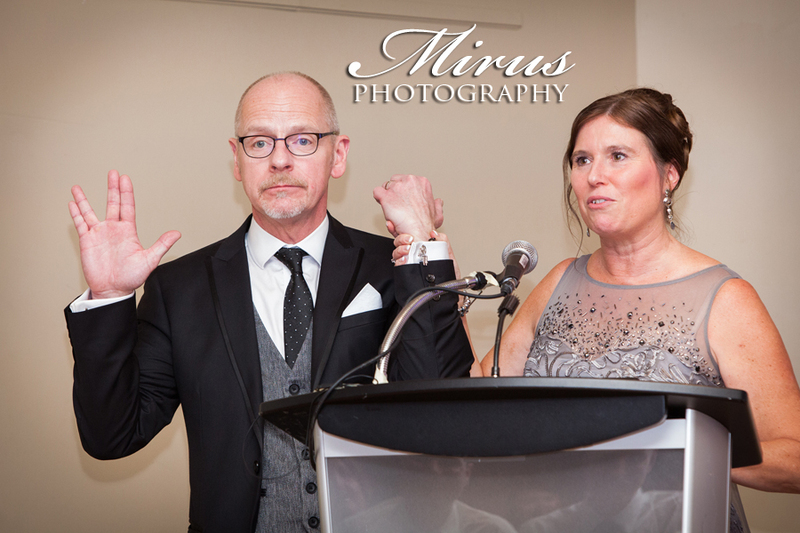 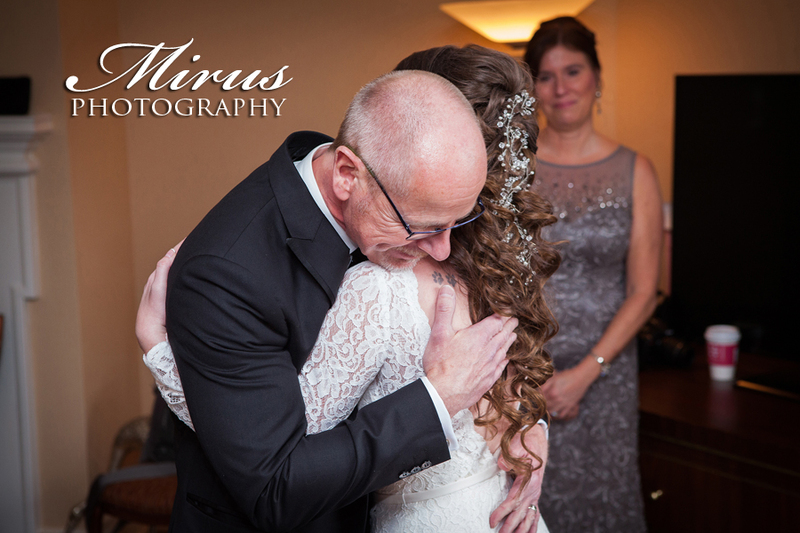 It was a surprise for their guests and even we as photographers did not know that this was happening. 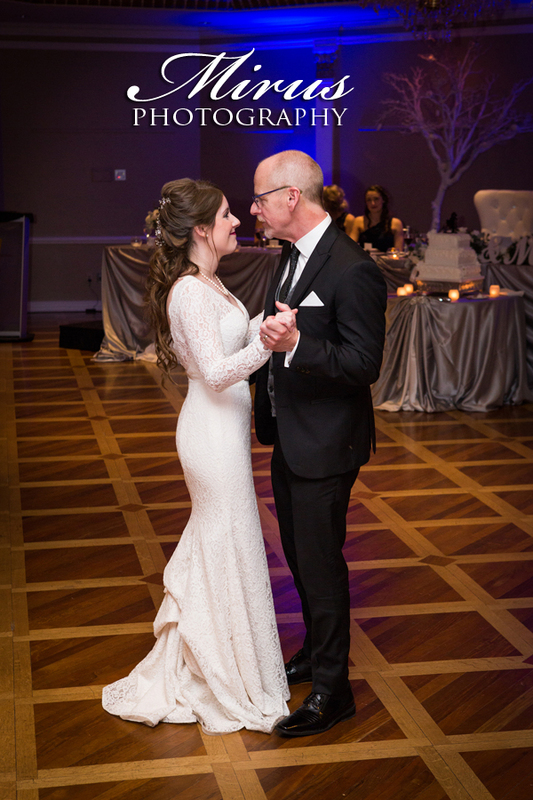 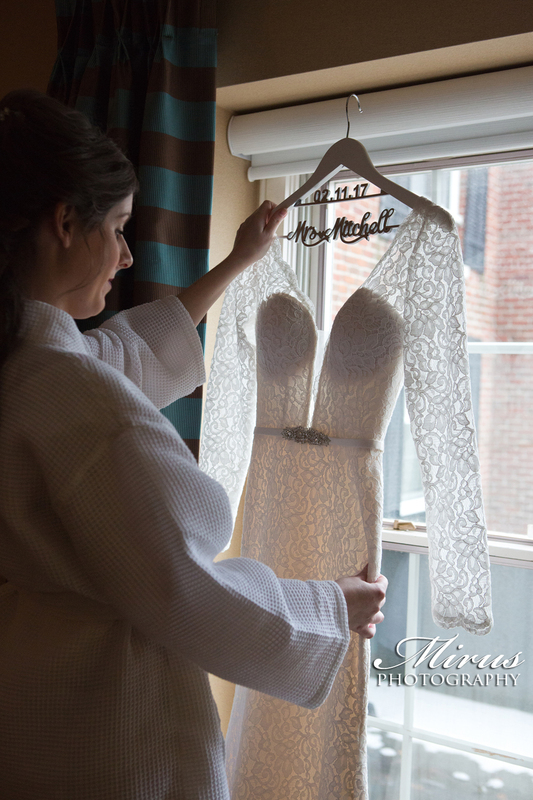 It was one of the best surprises we have seen at a wedding!Lastly Katherine wore one of the most stunning, unique wedding dresses we have ever seen all in lace and with long sleeves. 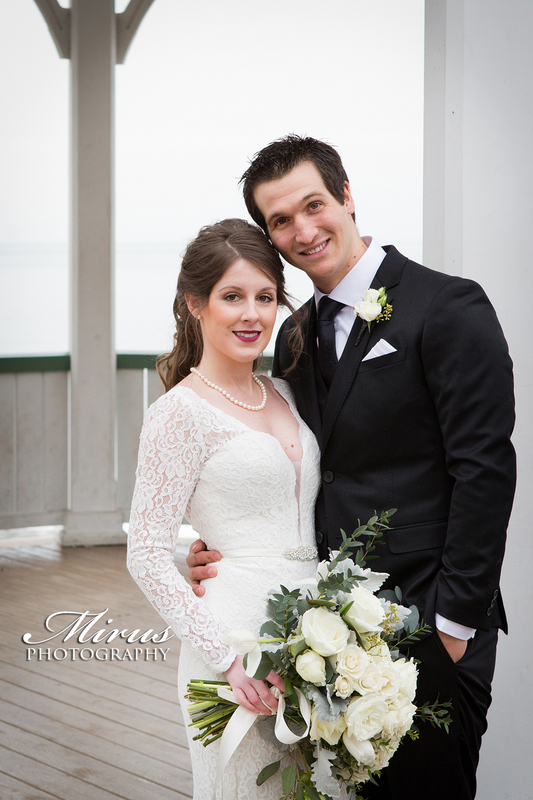 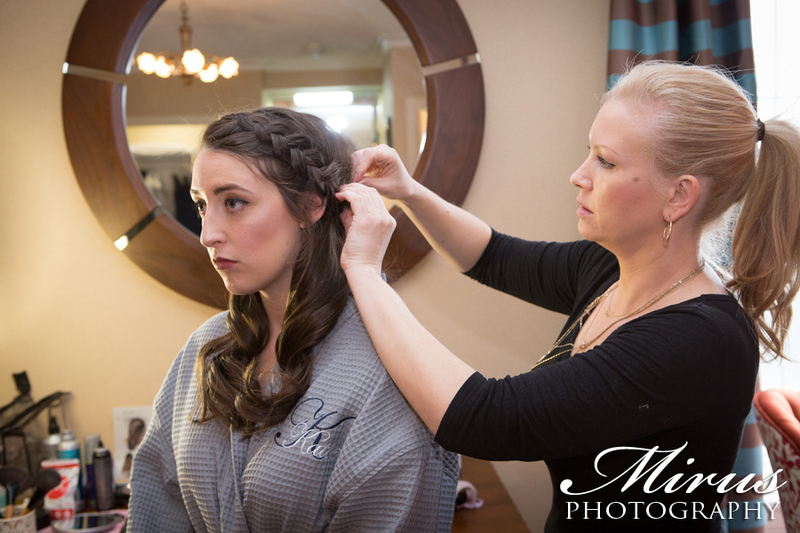 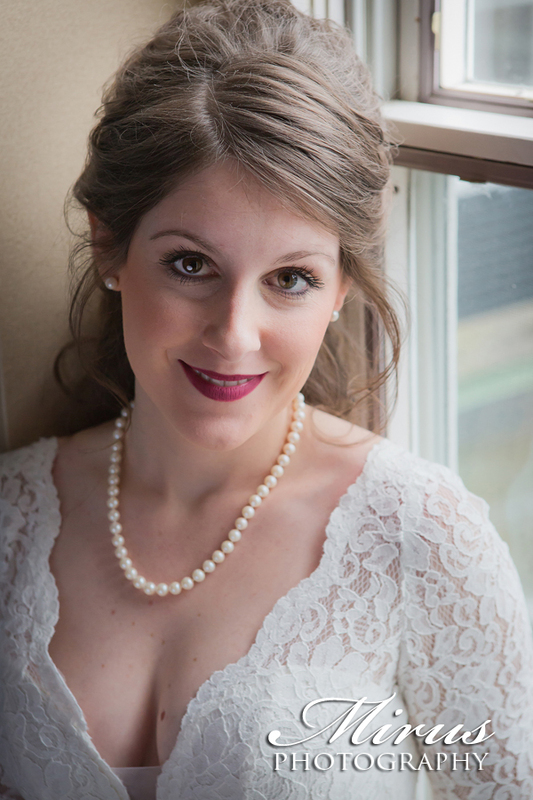 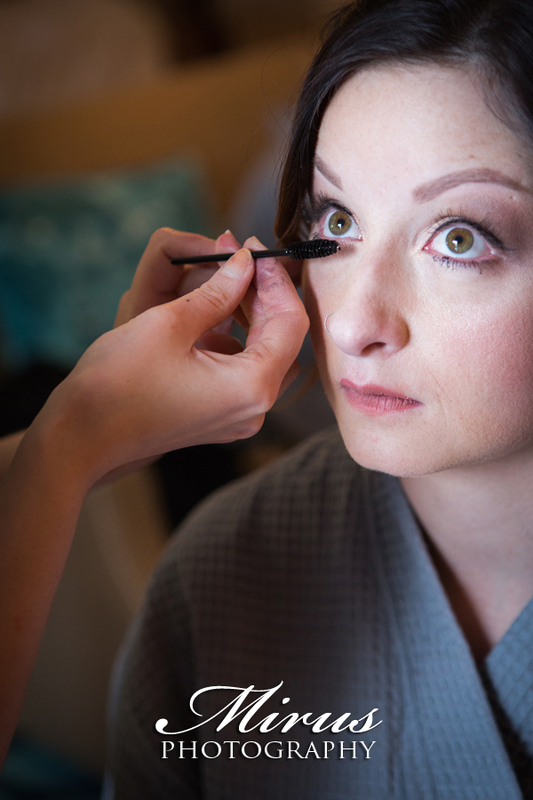 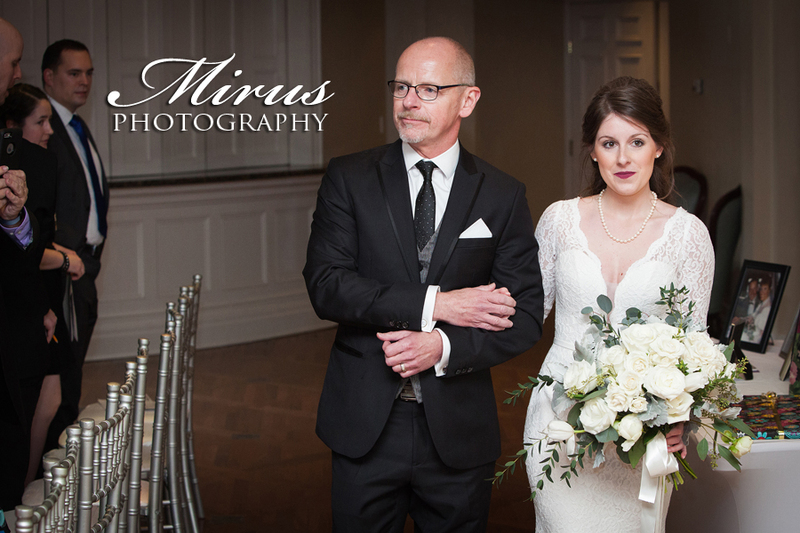 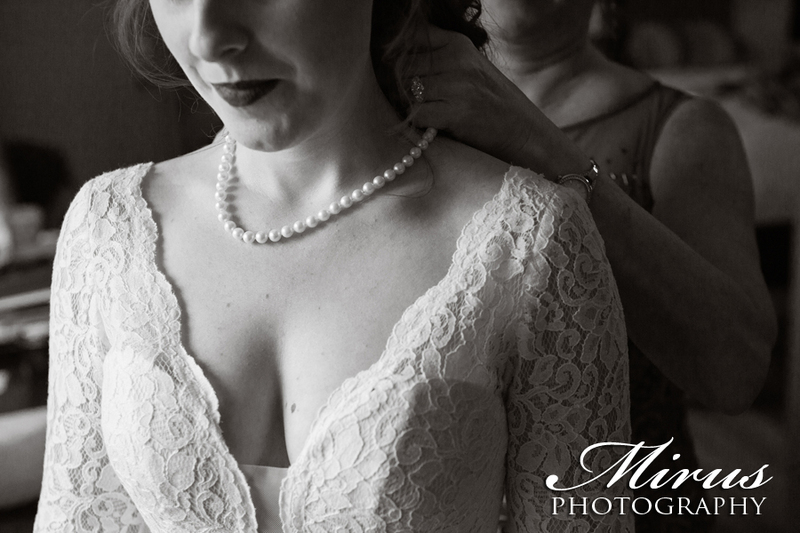 She looked so gorgeous and it fit her like a glove!Rob and I loved being a part of their wonderful, warm, winter wedding at Queen's Landing in Niagara on the Lake! 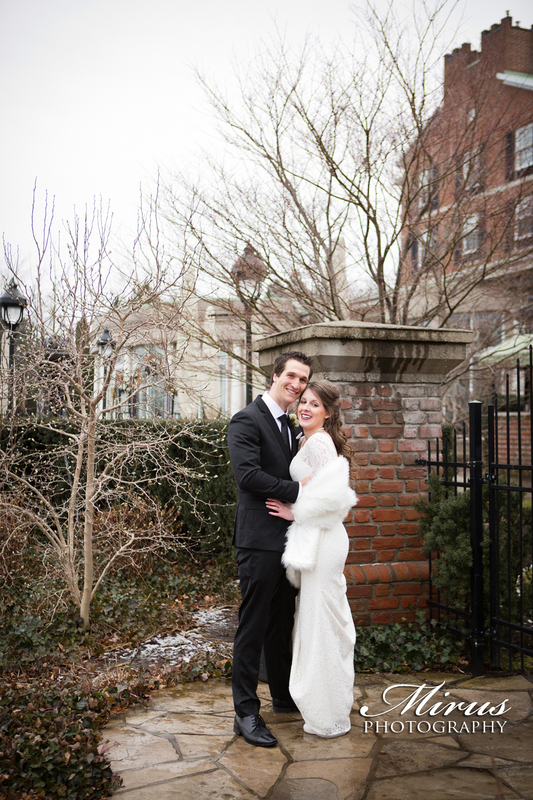 We wish this adventurous couple many years of love and hope that they love winter as much as they do now for the rest of their lives!